The Five Ten Anasazi LV Women's is a highly sensitive and comfortable all-round climbing shoe designed specifically for women with lower volume feet. 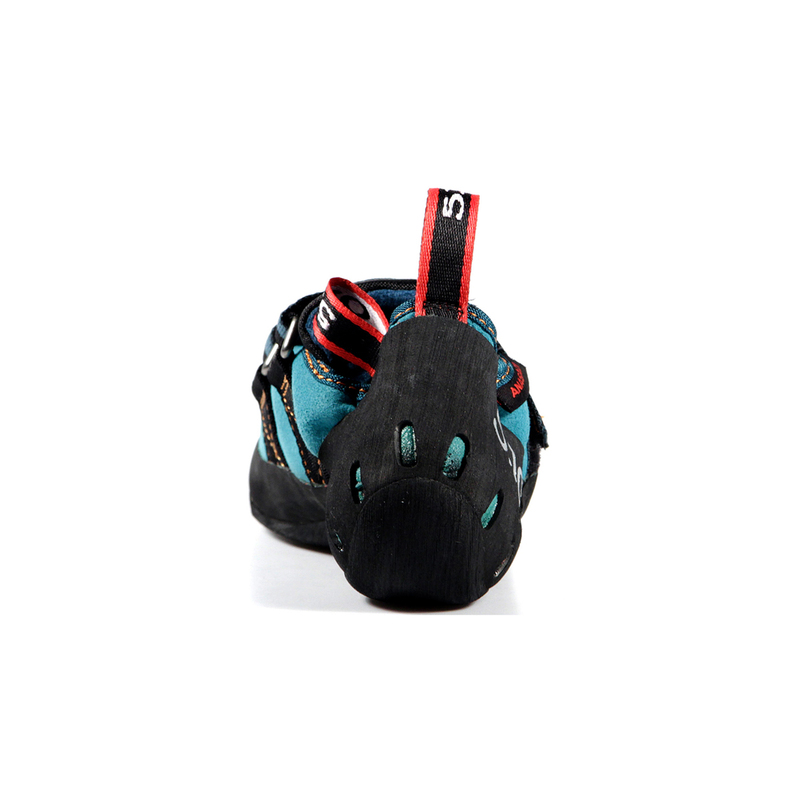 If you have narrow feet with generally lower volumes, and you're seeking a comfortable crack climbing, sport climbing, or multipitch climbing shoe, the Five Ten Anasazi LV Women's has a narrower tow box, a lower heel cup, and a high arch with a lower instep, all designed to better fit the female foot. It seems to us that the main feature of the Anasazi LV Women's is its high sensitivity and smearing performance. If you're looking to climb a lot of multipitch trad or sport routes on granite, this shoe's comfortable fit, high sensitivity, and medium-stiff sole equal all-day wearability with a particular advantage on routes with low friction. It's also a non-aggressive gateway for the beginner seeking a high-performance all-round shoe that can be taken sport climbing or bouldering, indoor or out. The Anasazi LV Women's features a lined synthetic upper, which means there will be the absolute minimum amount of stretch. If you're looking for a higher volume version, try the Anasazi VCS. Got my second pair now, comfortable but they do very well on all kinds of climbing. Slab, edges etc. Bought a pair of Anasazi LV's in December 2016 and decided to wear until destruction in order to provide a rounded review. Good times: Straight out the box, these shoes are comfortable but also super technical. My climbing has improved massively over the past 12 months. Great for edges, outdoors, indoors, long sport routes; they're a very versatile shoe. Even when worn out I still used them to warm up and easier routes. Not so good times: I found the edge and toe wore quite quickly and after maybe 3 months of climbing 3 days a week indoors and 1 day outdoors every couple weeks, there wasn't much left on the edge for those small footholds so I stopped using these for projects. This may be average for most shoes though. Also overhangs or toe hooks are fairly difficult due to the design. 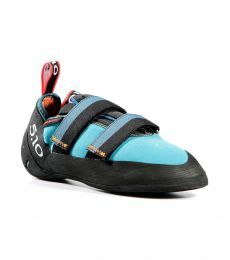 These shoes are a great all rounder if you want something for both sport climbs and bouldering. The LV is great for narrow feet as oppose to their counter part the original Anasazi Velcro which I have previously owned which I found difficult to get tight enough on occasions. - Rubber : I find the c4 to be slightly stiffer than Vibram XS which is on the La Sportiva Katana's which in my opinion are very similar type of shoe. 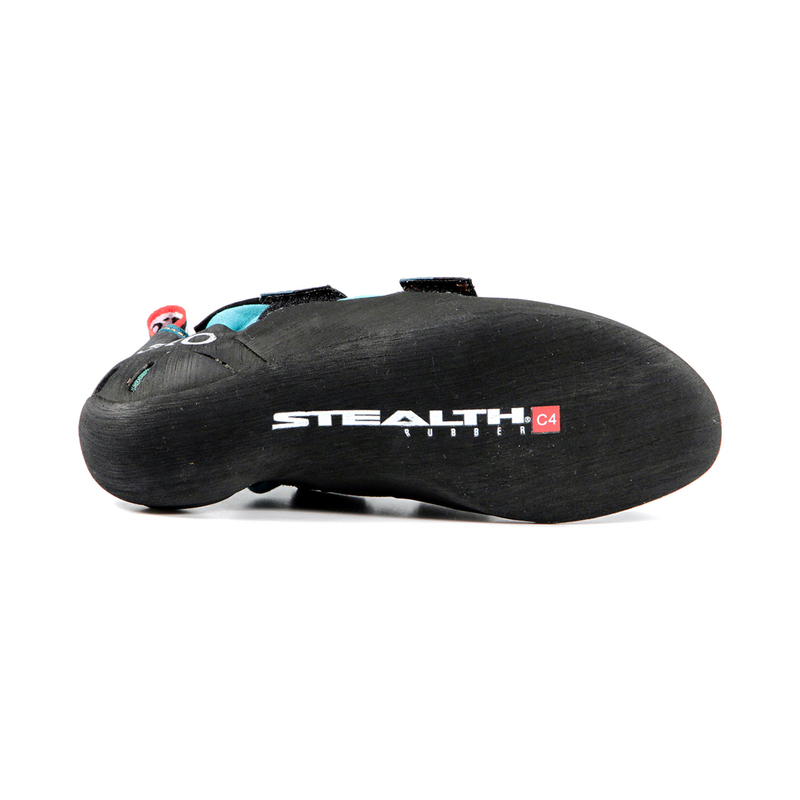 This makes the shoe great for indoor climbing and sharper small footholds, not so great for smears (relying on friction alone on a surface for feet). My only wish is that there would be a bit more rubber over the toe box for toe hooks. - Build : the split tongue is great for getting the shoes on and off easily and quickly, while you may think this is a bit irrelevant it does make it easier to remove between climbs if you like to down size in your shoe. - Heel : if you are expecting something like the La Sportiva Solutions you might be a bit disappointed, they are slightly looser, but provided you size down accordingly this isn't a big problem and they are still very effective. - Sizing : I recommend going down at least 1 size down from your normal trainer potentially 1.5 but also if you can try a pair in your local gym I would highly recommend this. 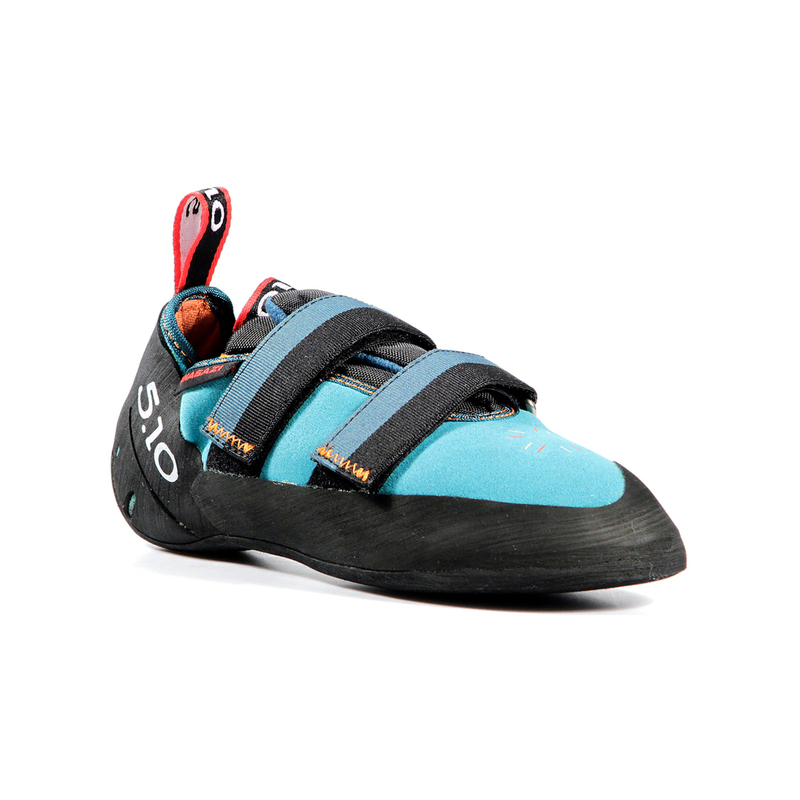 Overall 9/10 great all-round shoe, I would highly recommend for those looking to take on sport climbs and boulder trips. For those looking to compete I might suggest looking at shoes with more rubber over the toe box. As for buying from EpicTv I would highly recommend them, particularly if you can get a promo code, the live chat is great if you have any questions during your purchases too. My third pair of climbing shoes, best fit and great for smearing, indoors and out! I've worn LVs for several years now and have several pairs on the go - well-worn, they're a great bouldering shoe for gritstone and so comfy; newer and they're perfect for limestone and slate. Haven't felt the need to try anything else! Best rubber, great form, amazing performance! I've been climbing for more than 10 years now and these are the shoes that I've been choosing for the past maybe 4-5 years or so. I haven't yet found a shoe that works better for me although I have tried! 2. The shoe is not too aggressive which makes it work for any kind of terrain and type of climbing. 3. The heel is small, but not too small, and I _love_ heel-hooking and am good at it - this shoe envelopes my heel perfectly and works even on the smallest holds. 5. At first it feels stiff, but after a couple of training sessions it gets this perfect degree of softness that you feel your footholds but it's not too painful and you don't slide off them. I would advise trying this shoe out - if it fits, you're gonna love it=)! I already knew which pair of shoes I wanted for my daughter so just needed to find the best price from a proper supplier - and EpicTV fit the bill. The shoes were delivered relatively quickly and Hugo at Epic TV responded well to my enquiries. I'll being using these guys again. Ordering the shoes was easy and didn’t take long. The rock shoes arrived promptly and in good condition with adequate packaging. Sadly the 5:10 anasazi rock shoes I bought were too small, one of the downfalls of ordering climbing shoes online. I have sent them back for a refund. Because Epic TV shop is based in France the cost of returns from the UK is high and the shop doesn’t allow for exchanges so I will have to wait for a refund and then place a new order for a larger size. I used the online chat to ask questions about getting a refund and was answered promptly and with useful answers.